That’s right, we have one superior layer. Also people that are currently not part of the CoolBasic community may apply: If you know someone skilled enough who might be interested in participating a fully organized development team for the future coming CoolBasic Classic programming language and game making environment, please inform them. Those accepted will be contacted later on January 2010 after which they’ll receive their personal DevTeam-account and thus gain access to internal web pages and confidential files. Candidates will also be interviewed. All applicants are bound to DevTeam contract and NDA. Three weeks ago I announced CoolBasic Classic, and also told that it’s going to be out before CoolBasic V3. I also mentioned about a DevTeam that I’d assemble to help me in this project (it’s just so massive I kind of can’t do it alone in a reasonable time). My plans have now become clearer, and a major part of the preparing work I need to do before launching the DevTeam is already in a good shape. Now I won’t be officially announcing the process on how to apply to the DevTeam just yet. But next time I blog, I probably will. All in all, I urge anyone truly interested in participating, to monitor the forums closely for the next few upcoming weeks. This opportunity (being part of the DevTeam for CoolBasic Classic) only applies to Finnish people – at least for now. So what have I been doing during these 3 weeks then? Mainly websites – for the DevTeam. The DevTeam will have their own website much like any company Intranet, but in a smaller scale. It consists of (includes, but is not limited to) dashboard, document storage, ticket system, and administrative interfaces for web content (including the www-portal and online manuals). Those two mentioned first are mostly done. The rest will be developed by the DevTeam itself. This website is, of course, secured and restricted from public access – excluding the document storage system which will host both public and internal documents. Each member of the DevTeam will receive their own userID and password that they use to log in to the system. Members can also edit their settings like email and password. Security of this website is something I have paid great attention to: the authentication module can prevent SQL injections, session fixation, XSS, CSRF, form spoofing, path traversal, and brute force attacks – only to name a few. I’ve implemented even some advanced mechanics to prevent certain newly found attack techniques such as DNS rebinding and the protocol comment newline injection. Database credentials (and the documents/files of course) are also inaccessible from web browser, and they’re actually invisible to the web developer, too. It really has become my little experimental sandbox for a secured website. Ironically though, I haven’t yet managed to enable SSL on my web server (gosh, I’m a programmer, not a sysadmin). The document storage website is an interesting service and it has taken the majority of my time. I consider it now “finished” (although I’ll probably write a visual administration tool for easy role assignments later). 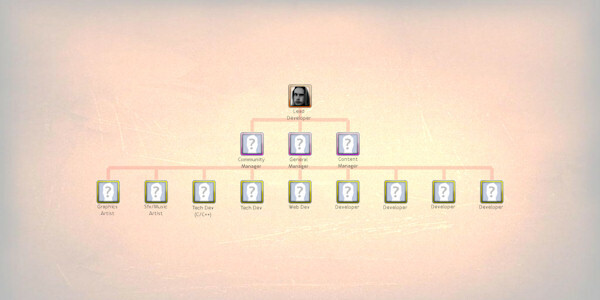 It supports full hierarchical category structure the documents belong under. I can assign which user roles are eligible to access any files found from the storage host. Roles can also be assigned to the users. These two combined it’s very flexible to control which users can access what. I can also suspend accounts or “retire” them. All member-made file requests (together with general authentication module logins/logouts) are also logged. In addition to the DevTeam website, there now exists database schemas for the forth-coming web portal and the CoolBasic Classic online manual. I will probably delegate at least a portion of the web portal development to someone in the DevTeam once I get it assembled. And for that, I need to write some serious specifications. One thing is for sure… there will be 1-2 open spots for skilled and able web developer(s) within the DevTeam. Yeah, there’s that much work. I’ve also sketched the organisation chart which basically illustrates the members of the DevTeam and their dependencies. In other words, I already know the open spots and what kind of people I’m going to need. Their skill requirements and “job descriptions” have also been planned and written down. There will be applications. While this information will (probably) be published in much greater detail next time I blog, I suppose I can safely say I’m looking for lots of different kinds of people with various expertice and skills: programmers, designers, specialists, web developers, content producers, and artists. Even managers. Also, the DevTeam will probably be extended with new members at some point in 2010. So what am I waiting for… let’s do this!